Scores 33 Highway MPG and 23 City MPG! This BMW 5 Series delivers a Intercooled Turbo Premium Unleaded I-4 2.0 L/122 engine powering this Automatic transmission. WIFI HOTSPOT, WHEELS: 18 X 8 DOUBLE-SPOKE (STYLE 634) (STD), POWER TAILGATE. * This BMW 5 Series Features the Following Options *CONVENIENCE PACKAGE -inc: Heated Front Seats, Power Tailgate, SiriusXM Satellite Radio, 1 year All Access subscription, Comfort Access Keyless Entry , HEATED STEERING WHEEL, HEATED FRONT SEATS, FINELINE RIDGE WOOD TRIM, CANBERRA BEIGE/BLACK, SENSATEC LEATHERETTE UPHOLSTERY, Window Grid Diversity Antenna, Wheels: 18 x 8 Double-Spoke (Style 634), Wheels w/Machined w/Painted Accents Accents, Valet Function, Trunk Rear Cargo Access. 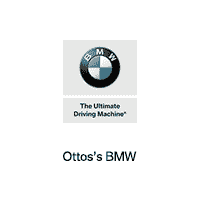 * Stop By Today *A short visit to Ottos BMW West Chester located at 1275 Wilmington Pike, West Chester, PA 19382 can get you a tried-and-true 5 Series today! Boasts 33 Highway MPG and 23 City MPG! This BMW 5 Series boasts a Intercooled Turbo Premium Unleaded I-4 2.0 L/122 engine powering this Automatic transmission. WIFI HOTSPOT, WHEELS: 18 X 8 DOUBLE-SPOKE (STYLE 634) (STD), POWER TAILGATE. * This BMW 5 Series Features the Following Options *PARKING ASSISTANCE PACKAGE -inc: Rear View Camera, Surround View w/3D View, Active Park Distance Control, Parking Assistant Plus, CONVENIENCE PACKAGE -inc: Heated Front Seats, Power Tailgate, SiriusXM Satellite Radio, 1 year All Access subscription, Comfort Access Keyless Entry , MEDITERRANEAN BLUE METALLIC, HEATED FRONT SEATS, BURL WALNUT WOOD TRIM, BLACK, SENSATEC LEATHERETTE UPHOLSTERY, Window Grid Diversity Antenna, Wheels: 18 x 8 Double-Spoke (Style 634), Wheels w/Machined w/Painted Accents Accents, Valet Function. * Stop By Today *You've earned this- stop by Ottos BMW West Chester located at 1275 Wilmington Pike, West Chester, PA 19382 to make this car yours today! This BMW 5 Series delivers a Intercooled Turbo Gas/Electric I-4 2.0 L/122 engine powering this Automatic transmission. WIFI HOTSPOT, WHEELS: 18 X 8 DOUBLE-SPOKE (STYLE 634) (STD), POWER TAILGATE. *This BMW 5 Series Comes Equipped with These Options *CONVENIENCE PACKAGE -inc: Heated Front Seats, Power Tailgate, SiriusXM Satellite Radio, 1 year All Access subscription, Comfort Access Keyless Entry , MULTI-CONTOUR SEATS, HEATED STEERING WHEEL, FRONT & REAR HEATED SEATS, FINELINE RIDGE WOOD TRIM, BMW IPERFORMANCE DESIGN ELEMENTS DELETION, BLUESTONE METALLIC, BLACK, DAKOTA LEATHER UPHOLSTERY -inc: contrast stitching and piping, Window Grid Diversity Antenna, Wheels: 18 x 8 Double-Spoke (Style 634). * Visit Us Today *Stop by Ottos BMW West Chester located at 1275 Wilmington Pike, West Chester, PA 19382 for a quick visit and a great vehicle! Scores 33 Highway MPG and 23 City MPG! This BMW 5 Series delivers a Intercooled Turbo Premium Unleaded I-4 2.0 L/122 engine powering this Automatic transmission. WIFI HOTSPOT, PREMIUM PACKAGE 2 -inc: Head-Up Display, Wireless Charging, Enhanced USB & Bluetooth (ZEB), WiFi Hotspot, Gesture Control, HEATED STEERING WHEEL. *This BMW 5 Series Comes Equipped with These Options *CONVENIENCE PACKAGE -inc: Heated Front Seats, Power Tailgate, SiriusXM Satellite Radio, 1 year All Access subscription, Comfort Access Keyless Entry , Wheels: 18 x 8 Double-Spoke (Style 634), Wheels w/Machined w/Painted Accents Accents, Valet Function, Trunk Rear Cargo Access, Trip Computer, Transmission: Sport Automatic, Transmission w/Driver Selectable Mode and STEPTRONIC Sequential Shift Control w/Steering Wheel Controls, Tracker System, Tires: 245/45R18 AS Run-Flat. * Visit Us Today *For a must-own BMW 5 Series come see us at Ottos BMW West Chester, 1275 Wilmington Pike, West Chester, PA 19382. Just minutes away! This BMW 5 Series boasts a Intercooled Turbo Gas/Electric I-4 2.0 L/122 engine powering this Automatic transmission. WIFI HOTSPOT, PREMIUM PACKAGE 2 -inc: Head-Up Display, Wireless Charging, Enhanced USB & Bluetooth, WiFi Hotspot, Gesture Control, HEATED STEERING WHEEL. *This BMW 5 Series Comes Equipped with These Options *CONVENIENCE PACKAGE -inc: Heated Front Seats, Power Tailgate, SiriusXM Satellite Radio, 1 year All Access subscription, Comfort Access Keyless Entry , Wheels: 18 x 8 Double-Spoke (Style 634), Wheels w/Machined w/Painted Accents Accents, Valet Function, Trunk Rear Cargo Access, Trip Computer, Transmission: STEPTRONIC Automatic w/Shift Paddles, Transmission w/Driver Selectable Mode, Tracker System, Tires: 245/45R18 AS Run-Flat. * Visit Us Today *For a must-own BMW 5 Series come see us at Ottos BMW West Chester, 1275 Wilmington Pike, West Chester, PA 19382. Just minutes away! This BMW 5 Series delivers a Intercooled Turbo Gas/Electric I-4 2.0 L/122 engine powering this Automatic transmission. WIFI HOTSPOT, WHEELS: 18 X 8 DOUBLE-SPOKE (STYLE 634) (STD), PREMIUM PACKAGE 2 -inc: Head-Up Display, Wireless Charging, Enhanced USB & Bluetooth, WiFi Hotspot, Gesture Control. * This BMW 5 Series Features the Following Options *PARKING ASSISTANCE PACKAGE -inc: Rear View Camera, Surround View w/3D View, Active Park Distance Control, Parking Assistant Plus, CONVENIENCE PACKAGE -inc: Heated Front Seats, Power Tailgate, SiriusXM Satellite Radio, 1 year All Access subscription, Comfort Access Keyless Entry , HEATED STEERING WHEEL, HEATED FRONT SEATS, HEAD-UP DISPLAY, DARK GRAPHITE METALLIC, BURL WALNUT WOOD TRIM, BMW IPERFORMANCE DESIGN ELEMENTS DELETION, BLACK, DAKOTA LEATHER UPHOLSTERY -inc: contrast stitching and piping, Window Grid Diversity Antenna. * Stop By Today *For a must-own BMW 5 Series come see us at Ottos BMW West Chester, 1275 Wilmington Pike, West Chester, PA 19382. Just minutes away! Scores 33 Highway MPG and 23 City MPG! This BMW 5 Series boasts a Intercooled Turbo Premium Unleaded I-4 2.0 L/122 engine powering this Automatic transmission. WIFI HOTSPOT, PREMIUM PACKAGE 2 -inc: Head-Up Display, Wireless Charging, Enhanced USB & Bluetooth (ZEB), WiFi Hotspot, Gesture Control, HEATED STEERING WHEEL. *This BMW 5 Series Comes Equipped with These Options *DRIVING ASSISTANCE PLUS PACKAGE -inc: Active Driving Assistant Plus, Active Cruise Control w/Stop and Go, Active Lane Keeping Assistant w/side collision avoidance, Traffic Jam Assistant, Evasion Aid and Cross-Traffic Alert Front in addition to the contents of Active Driving Assistant, CONVENIENCE PACKAGE -inc: Heated Front Seats, Power Tailgate, SiriusXM Satellite Radio, 1 year All Access subscription, Comfort Access Keyless Entry , Wheels: 18 x 8 Double-Spoke (Style 634), Wheels w/Machined w/Painted Accents Accents, Valet Function, Trunk Rear Cargo Access, Trip Computer, Transmission: Sport Automatic, Transmission w/Driver Selectable Mode and STEPTRONIC Sequential Shift Control w/Steering Wheel Controls, Tracker System. * Visit Us Today *Test drive this must-see, must-drive, must-own beauty today at Ottos BMW West Chester, 1275 Wilmington Pike, West Chester, PA 19382. Delivers 33 Highway MPG and 23 City MPG! This BMW 5 Series boasts a Intercooled Turbo Premium Unleaded I-4 2.0 L/122 engine powering this Automatic transmission. WIFI HOTSPOT, WHEELS: 19 X 8 V-SPOKE (STYLE 635) -inc: Tires: 245/40R19 AS Run-Flat, POWER TAILGATE. *This BMW 5 Series Comes Equipped with These Options *PARKING ASSISTANCE PACKAGE -inc: Rear View Camera, Surround View w/3D View, Active Park Distance Control, Parking Assistant Plus, CONVENIENCE PACKAGE -inc: Heated Front Seats, Power Tailgate, SiriusXM Satellite Radio, 1 year All Access subscription, Comfort Access Keyless Entry , MULTI-CONTOUR SEATS, MINERAL WHITE METALLIC, HEATED STEERING WHEEL, HARMAN/KARDON SURROUND SOUND SYSTEM, FRONT & REAR HEATED SEATS, COGNAC, DAKOTA LEATHER UPHOLSTERY -inc: contrast stitching and piping, BURL WALNUT WOOD TRIM, Window Grid Diversity Antenna. * Stop By Today *Test drive this must-see, must-drive, must-own beauty today at Ottos BMW West Chester, 1275 Wilmington Pike, West Chester, PA 19382. Boasts 33 Highway MPG and 23 City MPG! This BMW 5 Series boasts a Intercooled Turbo Premium Unleaded I-4 2.0 L/122 engine powering this Automatic transmission. WIFI HOTSPOT, PREMIUM PACKAGE 2 -inc: Head-Up Display, Wireless Charging, Enhanced USB & Bluetooth (ZEB), WiFi Hotspot, Gesture Control, HEATED STEERING WHEEL. * This BMW 5 Series Features the Following Options *DRIVING ASSISTANCE PLUS PACKAGE -inc: Active Driving Assistant Plus, Active Cruise Control w/Stop and Go, Active Lane Keeping Assistant w/side collision avoidance, Traffic Jam Assistant, Evasion Aid and Cross-Traffic Alert Front in addition to the contents of Active Driving Assistant, CONVENIENCE PACKAGE -inc: Heated Front Seats, Power Tailgate, SiriusXM Satellite Radio, 1 year All Access subscription, Comfort Access Keyless Entry , Window Grid Diversity Antenna, Wheels: 18 x 8 Double-Spoke (Style 634), Wheels w/Machined w/Painted Accents Accents, Valet Function, Trunk Rear Cargo Access, Trip Computer, Transmission: Sport Automatic, Transmission w/Driver Selectable Mode and STEPTRONIC Sequential Shift Control w/Steering Wheel Controls. * Stop By Today *Stop by Ottos BMW West Chester located at 1275 Wilmington Pike, West Chester, PA 19382 for a quick visit and a great vehicle! This BMW 5 Series boasts a Intercooled Turbo Gas/Electric I-4 2.0 L/122 engine powering this Automatic transmission. WIFI HOTSPOT, PREMIUM PACKAGE 2 -inc: Head-Up Display, Wireless Charging, Enhanced USB & Bluetooth, WiFi Hotspot, Gesture Control, HEATED STEERING WHEEL. * This BMW 5 Series Features the Following Options *DRIVING ASSISTANCE PLUS PACKAGE -inc: Active Driving Assistant Plus, Active Cruise Control w/Stop and Go, Active Lane Keeping Assistant w/side collision avoidance, Traffic Jam Assistant, Evasion Aid and Cross-Traffic Alert Front in addition to the contents of Active Driving Assistant, CONVENIENCE PACKAGE -inc: Heated Front Seats, Power Tailgate, SiriusXM Satellite Radio, 1 year All Access subscription, Comfort Access Keyless Entry , Window Grid Diversity Antenna, Wheels: 18 x 8 Double-Spoke (Style 634), Wheels w/Machined w/Painted Accents Accents, Valet Function, Trunk Rear Cargo Access, Trip Computer, Transmission: STEPTRONIC Automatic w/Shift Paddles, Transmission w/Driver Selectable Mode. * Visit Us Today *For a must-own BMW 5 Series come see us at Ottos BMW West Chester, 1275 Wilmington Pike, West Chester, PA 19382. Just minutes away! Delivers 33 Highway MPG and 23 City MPG! This BMW 5 Series delivers a Intercooled Turbo Premium Unleaded I-4 2.0 L/122 engine powering this Automatic transmission. WIFI HOTSPOT, PREMIUM PACKAGE 2 -inc: Head-Up Display, Wireless Charging, Enhanced USB & Bluetooth (ZEB), WiFi Hotspot, Gesture Control, HEATED STEERING WHEEL. * This BMW 5 Series Features the Following Options *DRIVING ASSISTANCE PLUS PACKAGE -inc: Active Driving Assistant Plus, Active Cruise Control w/Stop and Go, Active Lane Keeping Assistant w/side collision avoidance, Traffic Jam Assistant, Evasion Aid and Cross-Traffic Alert Front in addition to the contents of Active Driving Assistant, CONVENIENCE PACKAGE -inc: Heated Front Seats, Power Tailgate, SiriusXM Satellite Radio, 1 year All Access subscription, Comfort Access Keyless Entry , Window Grid Diversity Antenna, Wheels: 18 x 8 Double-Spoke (Style 634), Wheels w/Machined w/Painted Accents Accents, Valet Function, Trunk Rear Cargo Access, Trip Computer, Transmission: Sport Automatic, Transmission w/Driver Selectable Mode and STEPTRONIC Sequential Shift Control w/Steering Wheel Controls. * Visit Us Today *A short visit to Ottos BMW West Chester located at 1275 Wilmington Pike, West Chester, PA 19382 can get you a dependable 5 Series today! Delivers 33 Highway MPG and 23 City MPG! This BMW 5 Series boasts a Intercooled Turbo Premium Unleaded I-4 2.0 L/122 engine powering this Automatic transmission. WIFI HOTSPOT, WHEELS: 19 X 8 M DOUBLE-SPOKE (STYLE 664M) -inc: Tires: 245/40R19 AS Run-Flat, POWER TAILGATE. * This BMW 5 Series Features the Following Options *PARKING ASSISTANCE PACKAGE -inc: Rear View Camera, Surround View w/3D View, Active Park Distance Control, Parking Assistant Plus, M SPORT PACKAGE -inc: Shadowline Exterior Trim, Power Tailgate, LED Fog Lights, SiriusXM Satellite Radio, 1 year All Access subscription, M Sport Pkg, Wheels: 19 x 8 M Double-Spoke (Style 664M), Tires: 245/40R19 AS Run-Flat, Comfort Access Keyless Entry, Heated Front Seats, Without Lines Designation Outside, Aerodynamic Kit, M Sport Suspension, M Steering Wheel, Aluminum Rhombicle Interior Trim , M STEERING WHEEL, HEATED STEERING WHEEL, HEATED FRONT SEATS, HARMAN/KARDON SURROUND SOUND SYSTEM, BLACK W/BLUE, DAKOTA LEATHER UPHOLSTERY -inc: contrast stitching and piping, Window Grid Diversity Antenna, Wheels: 18 x 8 Double-Spoke (Style 634), Wheels w/Machined w/Painted Accents Accents. * Visit Us Today *A short visit to Ottos BMW West Chester located at 1275 Wilmington Pike, West Chester, PA 19382 can get you a dependable 5 Series today! Scores 33 Highway MPG and 23 City MPG! This BMW 5 Series boasts a Intercooled Turbo Premium Unleaded I-4 2.0 L/122 engine powering this Automatic transmission. WIFI HOTSPOT, PREMIUM PACKAGE 2 -inc: Head-Up Display, Wireless Charging, Enhanced USB & Bluetooth (ZEB), WiFi Hotspot, Gesture Control, HEATED STEERING WHEEL. *This BMW 5 Series Comes Equipped with These Options *EXECUTIVE PACKAGE -inc: Power Rear Sunshade, rear side window shades, Automatic High Beams, Soft-Close Automatic Doors, Icon Adaptive Full LED Headlights, Dynamic Digital Instrument Cluster, CONVENIENCE PACKAGE -inc: Heated Front Seats, Power Tailgate, SiriusXM Satellite Radio, 1 year All Access subscription, Comfort Access Keyless Entry , Window Grid Diversity Antenna, Wheels: 18 x 8 Double-Spoke (Style 634), Wheels w/Machined w/Painted Accents Accents, Valet Function, Trunk Rear Cargo Access, Trip Computer, Transmission: Sport Automatic, Transmission w/Driver Selectable Mode and STEPTRONIC Sequential Shift Control w/Steering Wheel Controls. * Stop By Today *For a must-own BMW 5 Series come see us at Ottos BMW West Chester, 1275 Wilmington Pike, West Chester, PA 19382. Just minutes away! Delivers 33 Highway MPG and 23 City MPG! This BMW 5 Series boasts a Intercooled Turbo Premium Unleaded I-4 2.0 L/122 engine powering this Automatic transmission. WIFI HOTSPOT, M SPORT PACKAGE -inc: Shadowline Exterior Trim, Power Tailgate, LED Fog Lights, SiriusXM Satellite Radio, 1 year All Access subscription, M Sport Pkg, Wheels: 19 x 8 M Double-Spoke (Style 664M), Tires: 245/40R19 AS Run-Flat, Comfort Access Keyless Entry, Heated Front Seats, Without Lines Designation Outside, Aerodynamic Kit, M Sport Suspension, M Steering Wheel, Aluminum Rhombicle Interior Trim, EXECUTIVE PACKAGE -inc: Power Rear Sunshade, rear side window shades, Automatic High Beams, Soft-Close Automatic Doors, Icon Adaptive Full LED Headlights, Dynamic Digital Instrument Cluster. *This BMW 5 Series Comes Equipped with These Options *Wheels w/Machined w/Painted Accents Accents, Valet Function, Trunk Rear Cargo Access, Trip Computer, Transmission: Sport Automatic, Transmission w/Driver Selectable Mode and STEPTRONIC Sequential Shift Control w/Steering Wheel Controls, Tracker System, Tires: 245/45R18 AS Run-Flat, Systems Monitor, Streaming Audio. * Stop By Today *Test drive this must-see, must-drive, must-own beauty today at Ottos BMW West Chester, 1275 Wilmington Pike, West Chester, PA 19382. Scores 29 Highway MPG and 21 City MPG! This BMW 5 Series boasts a Intercooled Turbo Premium Unleaded I-6 3.0 L/183 engine powering this Automatic transmission. WIFI HOTSPOT, HEATED STEERING WHEEL, DRIVING ASSISTANCE PLUS PACKAGE -inc: Active Driving Assistant Plus, Active Cruise Control w/Stop and Go, Active Lane Keeping Assistant w/side collision avoidance, Traffic Jam Assistant, Evasion Aid and Cross-Traffic Alert Front in addition to the contents of Active Driving Assistant. * This BMW 5 Series Features the Following Options *CONVENIENCE PACKAGE -inc: Heated Front Seats, Power Tailgate, SiriusXM Satellite Radio, 1 year All Access subscription, Comfort Access Keyless Entry , Wheels: 18 x 8 Double-Spoke (Style 634), Wheels w/Machined w/Painted Accents Accents, Valet Function, Trunk Rear Cargo Access, Trip Computer, Transmission: Sport Automatic, Transmission w/Driver Selectable Mode and STEPTRONIC Sequential Shift Control w/Steering Wheel Controls, Tracker System, Tires: 245/45R18 AS Run-Flat. * Visit Us Today *Come in for a quick visit at Ottos BMW West Chester, 1275 Wilmington Pike, West Chester, PA 19382 to claim your BMW 5 Series! This BMW 5 Series boasts a Intercooled Turbo Gas/Electric I-4 2.0 L/122 engine powering this Automatic transmission. WIFI HOTSPOT, PREMIUM PACKAGE 2 -inc: Head-Up Display, Wireless Charging, Enhanced USB & Bluetooth, WiFi Hotspot, Gesture Control, MULTI-CONTOUR SEATS. * This BMW 5 Series Features the Following Options *EXECUTIVE PACKAGE -inc: Power Rear Sunshade, rear side window shades, Automatic High Beams, Soft-Close Automatic Doors, Icon Adaptive Full LED Headlights, Dynamic Digital Instrument Cluster, DRIVING ASSISTANCE PLUS PACKAGE -inc: Active Driving Assistant Plus, Active Cruise Control w/Stop and Go, Active Lane Keeping Assistant w/side collision avoidance, Traffic Jam Assistant, Evasion Aid and Cross-Traffic Alert Front in addition to the contents of Active Driving Assistant, CONVENIENCE PACKAGE -inc: Heated Front Seats, Power Tailgate, SiriusXM Satellite Radio, 1 year All Access subscription, Comfort Access Keyless Entry , HARMAN/KARDON SURROUND SOUND SYSTEM, Window Grid Diversity Antenna, Wheels: 18 x 8 Double-Spoke (Style 634), Wheels w/Machined w/Painted Accents Accents, Valet Function, Trunk Rear Cargo Access, Trip Computer. * Stop By Today *For a must-own BMW 5 Series come see us at Ottos BMW West Chester, 1275 Wilmington Pike, West Chester, PA 19382. Just minutes away! Boasts 29 Highway MPG and 21 City MPG! This BMW 5 Series delivers a Intercooled Turbo Premium Unleaded I-6 3.0 L/183 engine powering this Automatic transmission. DRIVING ASSISTANCE PLUS PACKAGE -inc: Active Driving Assistant Plus, Active Cruise Control w/Stop and Go, Active Lane Keeping Assistant w/side collision avoidance, Traffic Jam Assistant, Evasion Aid and Cross-Traffic Alert Front in addition to the contents of Active Driving Assistant, CONVENIENCE PACKAGE -inc: Heated Front Seats, Power Tailgate, SiriusXM Satellite Radio, 1 year All Access subscription, Comfort Access Keyless Entry, Window Grid Diversity Antenna. * This BMW 5 Series Features the Following Options *Valet Function, Trunk Rear Cargo Access, Trip Computer, Transmission: Sport Automatic, Transmission w/Driver Selectable Mode and STEPTRONIC Sequential Shift Control w/Steering Wheel Controls, Tracker System, Tires: 245/45R18 AS Run-Flat, Systems Monitor, Streaming Audio, Sport Seats. * Stop By Today *Come in for a quick visit at Ottos BMW West Chester, 1275 Wilmington Pike, West Chester, PA 19382 to claim your BMW 5 Series! Boasts 29 Highway MPG and 21 City MPG! This BMW 5 Series delivers a Intercooled Turbo Premium Unleaded I-6 3.0 L/183 engine powering this Automatic transmission. WHEELS: 19 X 8 V-SPOKE (STYLE 635) -inc: Tires: 245/40R19 AS Run-Flat, WHEELS: 19 X 8 M DOUBLE-SPOKE (STYLE 664M) -inc: Tires: 245/40R19 AS Run-Flat, PREMIUM PACKAGE 2 -inc: Head-Up Display, Wireless Charging, Enhanced USB & Bluetooth (ZEB), Gesture Control. *This BMW 5 Series Comes Equipped with These Options *PARKING ASSISTANCE PACKAGE -inc: Rear View Camera, Surround View w/3D View, Active Park Distance Control, Parking Assistant Plus, M SPORT PACKAGE -inc: Shadowline Exterior Trim, Power Tailgate, LED Fog Lights, SiriusXM Satellite Radio, 1 year All Access subscription, M Sport Pkg, Wheels: 19 x 8 M Double-Spoke (Style 664M), Tires: 245/40R19 AS Run-Flat, Comfort Access Keyless Entry, Heated Front Seats, Without Lines Designation Outside, Aerodynamic Kit, M Sport Suspension, M Steering Wheel, Aluminum Rhombicle Interior Trim, CONVENIENCE PACKAGE -inc: Heated Front Seats, Power Tailgate, SiriusXM Satellite Radio, 1 year All Access subscription, Comfort Access Keyless Entry , M STEERING WHEEL, HEATED STEERING WHEEL, HEATED FRONT SEATS, HEAD-UP DISPLAY, HARMAN/KARDON SURROUND SOUND SYSTEM, FRONT & REAR HEATED SEATS, FINELINE RIDGE WOOD TRIM. * Visit Us Today *You've earned this- stop by Ottos BMW West Chester located at 1275 Wilmington Pike, West Chester, PA 19382 to make this car yours today! Delivers 29 Highway MPG and 21 City MPG! This BMW 5 Series delivers a Intercooled Turbo Premium Unleaded I-6 3.0 L/183 engine powering this Automatic transmission. WHEELS: 18 X 8 DOUBLE-SPOKE (STYLE 634) (STD), PREMIUM PACKAGE 2 -inc: Head-Up Display, Wireless Charging, Enhanced USB & Bluetooth (ZEB), Gesture Control, POWER TAILGATE. * This BMW 5 Series Features the Following Options *PARKING ASSISTANCE PACKAGE -inc: Rear View Camera, Surround View w/3D View, Active Park Distance Control, Parking Assistant Plus, CONVENIENCE PACKAGE -inc: Heated Front Seats, Power Tailgate, SiriusXM Satellite Radio, 1 year All Access subscription, Comfort Access Keyless Entry , HEATED STEERING WHEEL, HEAD-UP DISPLAY, HARMAN/KARDON SURROUND SOUND SYSTEM, FRONT & REAR HEATED SEATS, CASHMERE SILVER METALLIC, CANBERRA BEIGE/BLACK, DAKOTA LEATHER UPHOLSTERY -inc: contrast stitching and piping, BURL WALNUT WOOD TRIM, Window Grid Diversity Antenna. * Stop By Today *Stop by Ottos BMW West Chester located at 1275 Wilmington Pike, West Chester, PA 19382 for a quick visit and a great vehicle! Boasts 29 Highway MPG and 21 City MPG! This BMW 5 Series boasts a Intercooled Turbo Premium Unleaded I-6 3.0 L/183 engine powering this Automatic transmission. WIFI HOTSPOT, PREMIUM PACKAGE 2 -inc: Head-Up Display, Wireless Charging, Enhanced USB & Bluetooth (ZEB), WiFi Hotspot, Gesture Control, HEATED STEERING WHEEL. * This BMW 5 Series Features the Following Options *DRIVING ASSISTANCE PLUS PACKAGE -inc: Active Driving Assistant Plus, Active Cruise Control w/Stop and Go, Active Lane Keeping Assistant w/side collision avoidance, Traffic Jam Assistant, Evasion Aid and Cross-Traffic Alert Front in addition to the contents of Active Driving Assistant, CONVENIENCE PACKAGE -inc: Heated Front Seats, Power Tailgate, SiriusXM Satellite Radio, 1 year All Access subscription, Comfort Access Keyless Entry , Wheels: 18 x 8 Double-Spoke (Style 634), Wheels w/Machined w/Painted Accents Accents, Valet Function, Trunk Rear Cargo Access, Trip Computer, Transmission: Sport Automatic, Transmission w/Driver Selectable Mode and STEPTRONIC Sequential Shift Control w/Steering Wheel Controls, Tracker System. * Visit Us Today *Treat yourself- stop by Ottos BMW West Chester located at 1275 Wilmington Pike, West Chester, PA 19382 to make this car yours today!